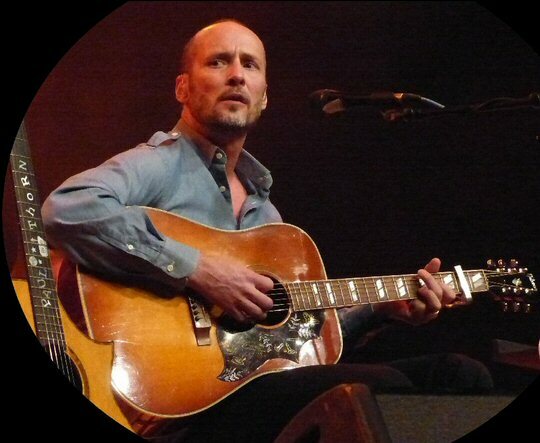 Paul Thorn from Tupelo, Mississippi was a professional boxer before he became a musician. His most famous TV battle was with former world champion Roberto Duran. Paul released his first album Hammer & Nail in 1997 and since then he has put out more than a dozen self-released records with the help of his writing and production partner Billy Maddox. 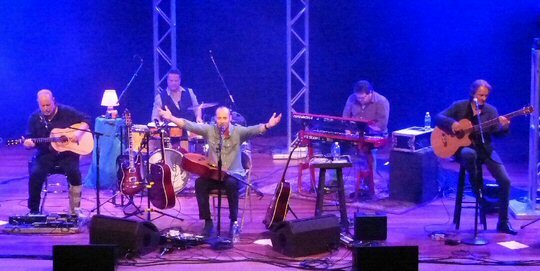 The Paul Thorn Band were greeted with open arms in Music City. 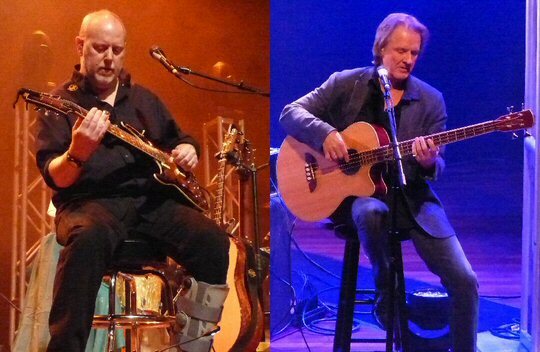 Paul opened for Tommy Emmanuel at the prestigious Ryman Auditorium on February 27, 2016. The room was close to packed as Paul with his talented team took the stage. Paul was personable frequently chatting between songs quickly endearing himself to the crowd. Thorn explained that “A Lot Of Good Reasons” was about the terrible consequences of divorce. He shared those woes as his acoustic ensemble supported the tale with jamming and slick slide guitar. “I Backslide on Friday” featured a snappy tempo paired with rich relatable storytelling. Paul had an easy manner that worked well with his vocal style and songcraft. He was also a solid strummer on the acoustic. Paul enthused that this was his first time playing the Ryman. Thorn recalled that back in high school he lost a job at McDonalds because he could not keep up on the grill and this was a step up for him. “Thank you Jesus,” he declared. Before “Hammer & Nail” he shared the story of his fight with Roberto Duran figuring he was the only guy in the Ryman who rode in an ambulance with the famous boxer. He invited anyone who had to meet up after the show as Thorn was available during intermission to say hello to fans before Tommy took the stage. The audience helped Paul with the hook on “Hammer & Nail”. Paul mentioned being homesick and calling his Mama. She often gave him advice so in honor of her Thorn strung together words and conversations they had to craft the wise “That’s Life”. He also stated that Mama was his favorite cook and that she would send him home with various containers of food. “Here’s a song about it”. The tasteful “Turnip Greens” was full of images of fine southern cooking and warmly received at the Ryman. One-time pro boxer Paul Thorn scored a knockout at the Ryman. During his next number Thorn simply suggested that you should not let people “Rob You of Your Joy”. “She Won’t Cheat On Us” was a comical commentary about Paul and a friend cheating on their girlfriends with the same gal. Thorn closed with the peppy and positive “Everything’s Gonna Be Alright” which turned into a sing-along. Paul with his talented team of southern musicians packed a punch at the Ryman thus winning their opening round on Saturday night. For a man who was once cut-up by Roberto Duran in the boxing ring Thorn kept the capacity crowd in Music City in stitches throughout his 45-minute set. It wouldn’t surprise us to see him return in the future as the headliner as he was noticeably appreciated by the knowledgeable fans in attendance. 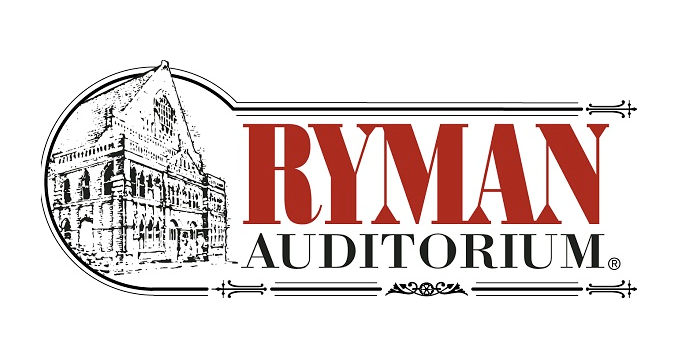 The Ryman Auditorium in the heart of Nashville continues to host a wide range of musicians such as Paul Thorn. Upcoming events at the Ryman include Leon Bridges, Tedeschi Trucks Band, Sam’s Place, George Thorogood, Merle Haggard and Adam Lambert. Members of the Paul Thorn Band on stage in Nashville.